'Aquaman' has become the highest-grossing DC Comics film in history. The James Wan-directed hit – which features the likes of Jason Momoa, Amber Heard and Nicole Kidman – passed the $1.09 billion landmark at the worldwide box office over the weekend, according to Box Office Mojo. The achievement means that 'Aquaman' has leapfrogged Christopher Nolan's 'The Dark Knight Rises' – which earned $1.08 billion worldwide in 2012 – in the list of the highest-grossing DC Comics movie. By comparison, the critically-acclaimed 'Wonder Woman' – which stars Gal Gadot and Chris Pine – earned $821 million worldwide. 'Aquaman's box-office success may have come as something of a surprise because unlike hits like 'Wonder Woman', the fantasy movie proved to be devise with critics. 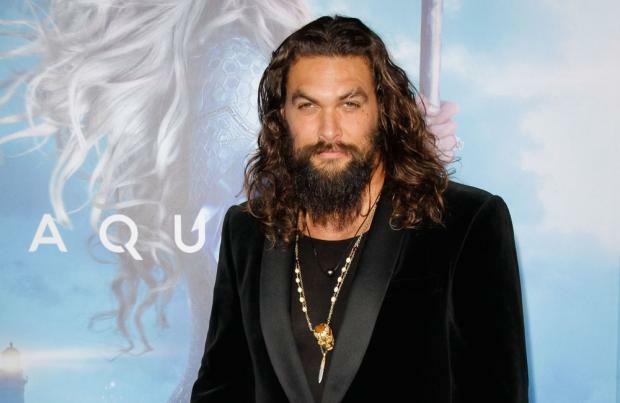 Meanwhile, Jason Momoa previously admitted to being shocked when he was cast as Aquaman in the record-breaking film. The Hollywood star actually thought he was more suited to a villainous role in the DC movie. He said: "When [producer] Zack [Snyder] first told me I'd been cast, I mean, I wish I had a picture of my face because, you know, I can see Patrick [Wilson, who plays 'Aquaman' villain King Orm] being hired for 'Aquaman'. "I am the last person you should be hiring for 'Aquaman'! I thought I'd be playing a villain. But when he explained to me, it was just such an honour."